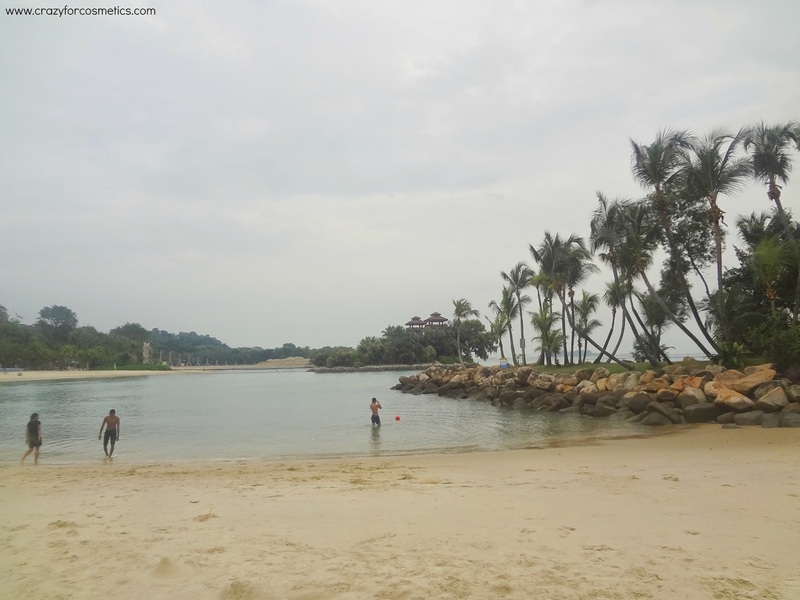 When you think of fun things to do in Singapore, Sentosa island is the thing that comes first to most of our minds. 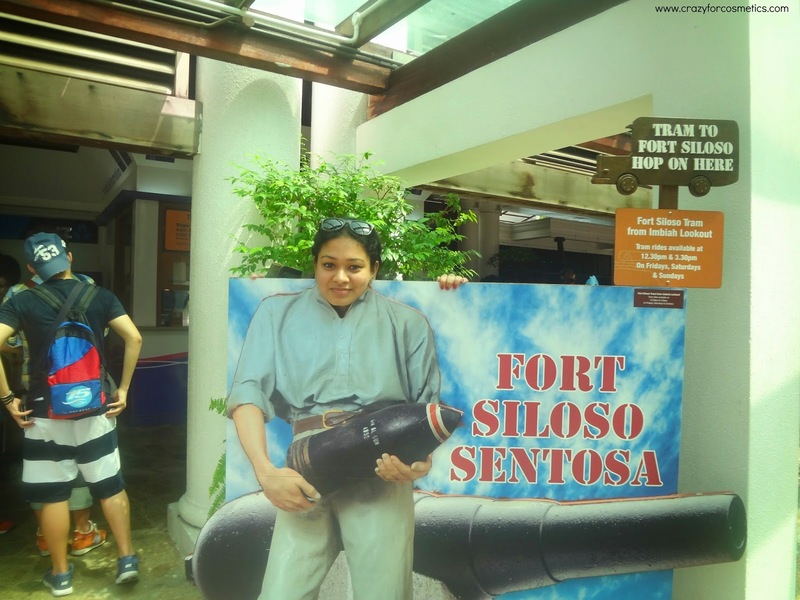 Sentosa island has something for everybody be it it's beautiful beaches, casinos , amusement parks or its other varied attractions. 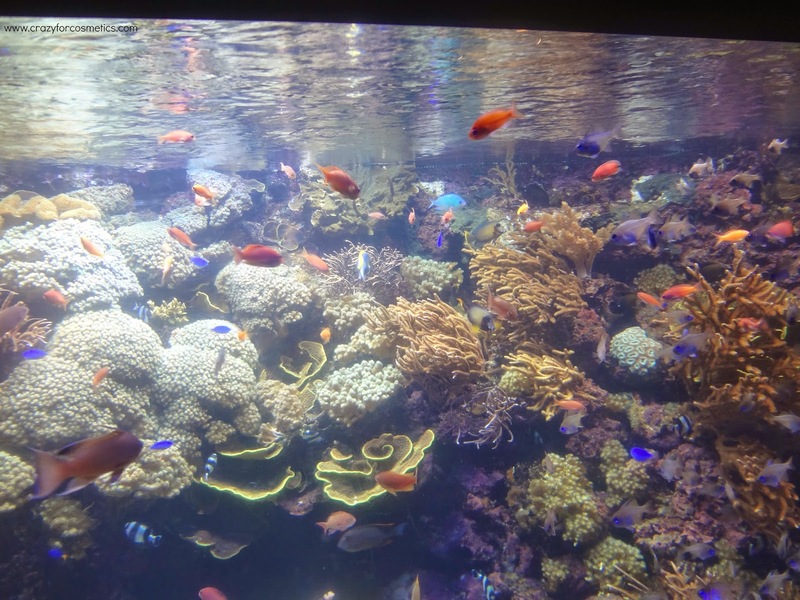 So post our visit to Sentosa on day 3 when we visited Universal Studios we wanted to spend our last day in Singapore to enjoy the other attractions in Sentosa island. 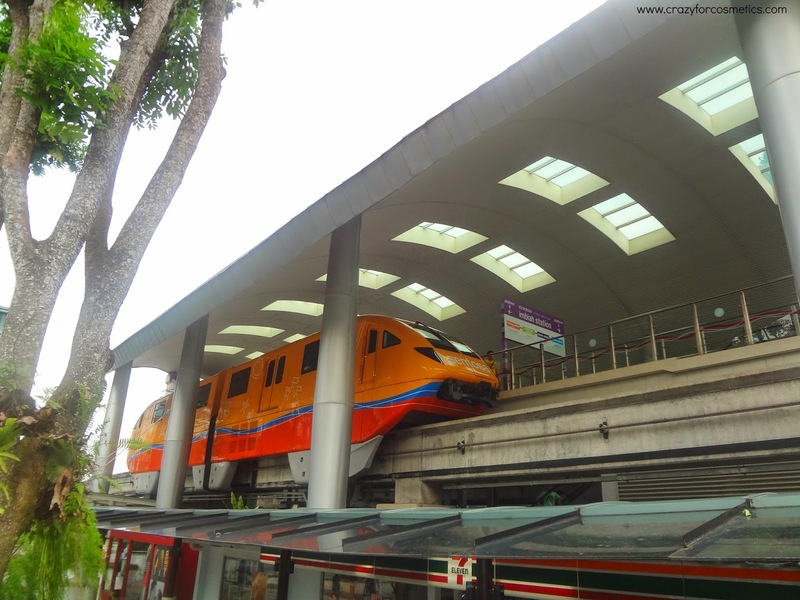 Since we had taken the monorail from Vivo City mall during our visit to Universal Studios Singapore we decided to take the cable car to Sentosa this time around. 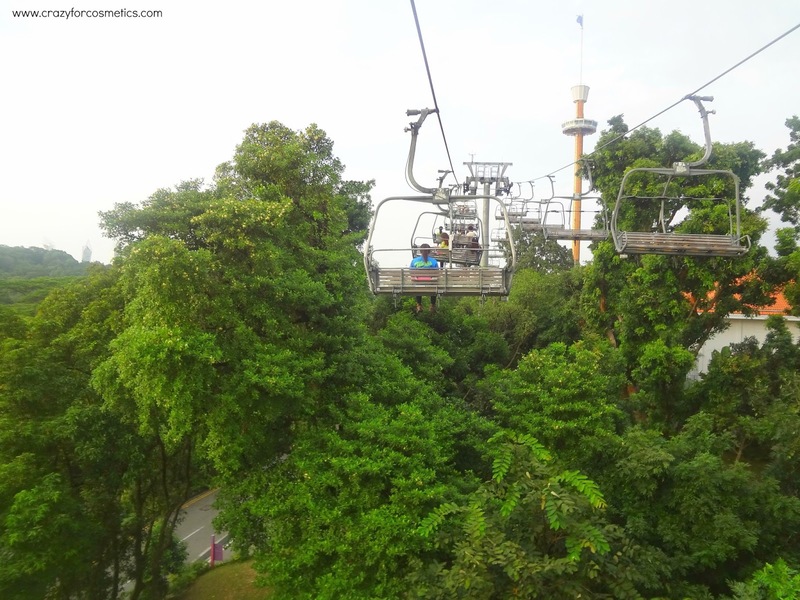 The cable car ride is a 15 minute ride and on the way to the island we had noticed the newly opened Adventure Cove Water Park which we were not aware of. 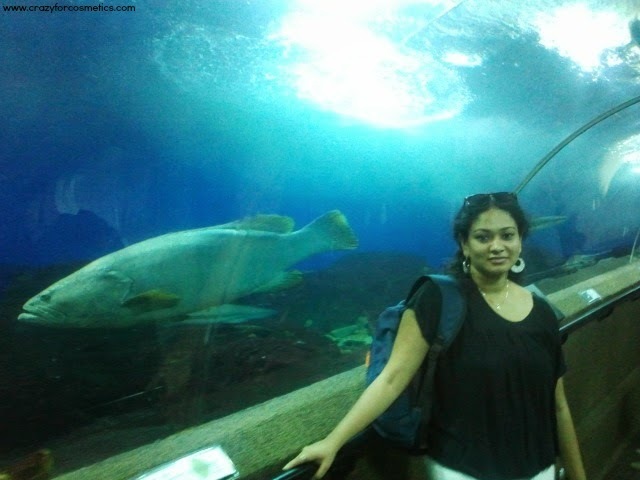 Tip : If you want to see all attraction of Sentosa and also visit the water park you would need at least 2 days. 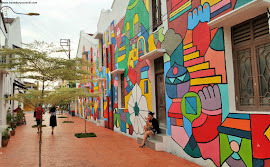 Since it was our last day in Singapore we tried to squeeze in as much as we could that day. 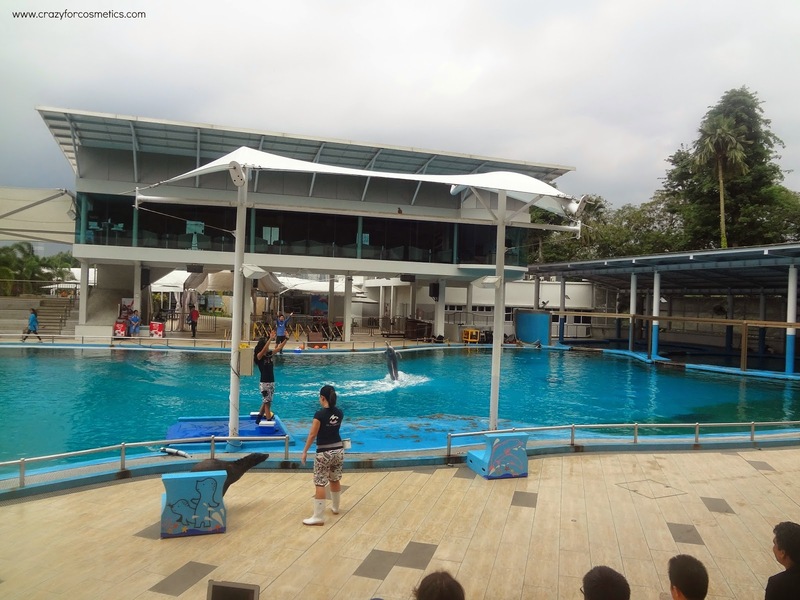 When we visited in January 2013 this was a newly opened water park and the crowds were manageable. But still we ended up waiting 15-20 minutes for most rides and spent 3 hours in the water park. We really would have loved to spend more time. Spiral Washout : The 2nd best ride in the park which is better ridden as a pair as you travel at great speeds. The last part of the ride is really cool as you enter a funnel like structure before spilling out into a splash pool. Riptide Rocket : The ride that has the most queues in the park ( just next to the wave pool ) as it is the best. Can be ridden single or as a pair as you are slowly taken up automatically via a conveyor belt before a ride full of twists, turns and 2 free falls. Duelling Racer : Comparatively not as thrilling as the earlier 2 rides, but the dueling racer ride is a more classic ride as you can complete with a friend / partner to see who can finish first atop a racer mat. Wave Pool : Operated at different time slots with guards always alert, something one should not miss here in Adventure Cove is the wave pool. A fun activity with an effect of a real beach for everyone right from kids to the elderly, this is the most crowded attraction at all times of the day. Put on a tube and a life jacket if you wish & relax in the waves. Splashworks : Wanna prove to your friends that you are an adventure seeker ? 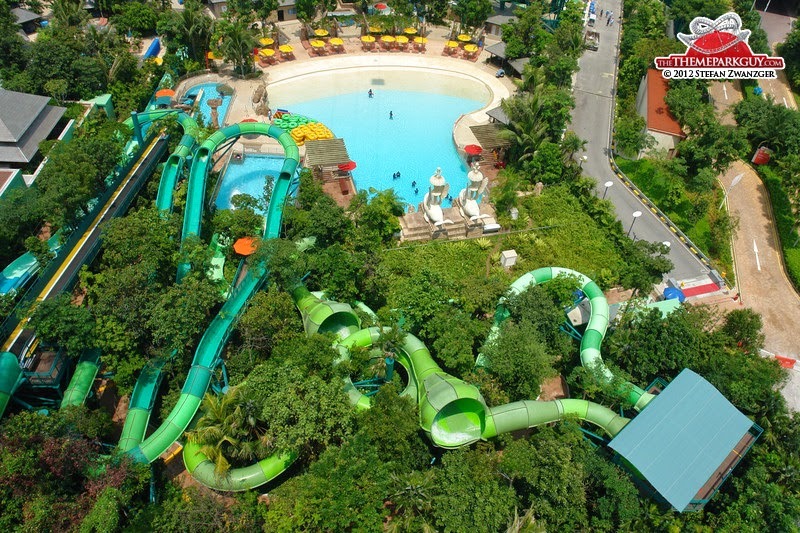 ( of course you are already one since you are in Adventure Cove), head out to The Splashworks which has several challenging activities like climbing the cargo net, diving, crossing a tight rope. 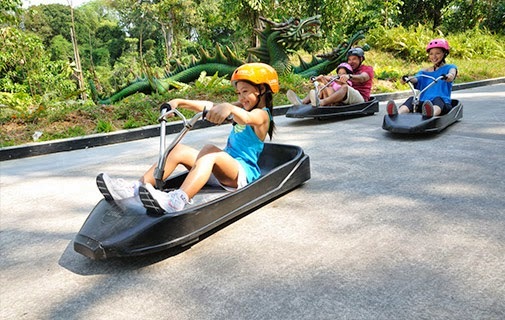 Skyline Luge Sentosa : Easily the best attraction in Sentosa island and one that we really enjoyed. It’s great fun as you zoom down in a luge either in the day / night. We did the ride at night and it was really cool as the lights came on to illuminate the track. 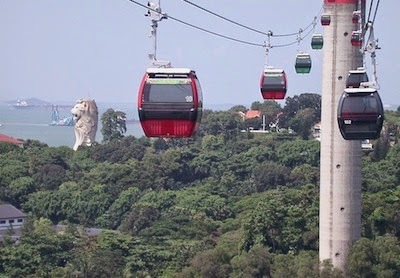 Tip : Book a set of 5 luge rides + skylift as they are cheaper as no one can just stop with once. Really addictive!!! Sentosa 4D Adventure Land : The log ride ( 4D roller coaster ) is the favorite among tourists and there is also a 4D movie ride which was good. But do not miss the log ride for sure..
Tiger Sky Tower : I visited this attraction as my hubby was busy with the skyline luge. Tiger Sky tower is a revolving viewing point offering 360 degree views of nearby regions with commentary. On a clear day both Malaysia and Indonesia are visible. Songs of the sea : A beautiful laser and water show near to the base of the skyline luge this is something not to miss when in Sentosa. With brilliant music to keep you riveted we really loved this attraction. 4. 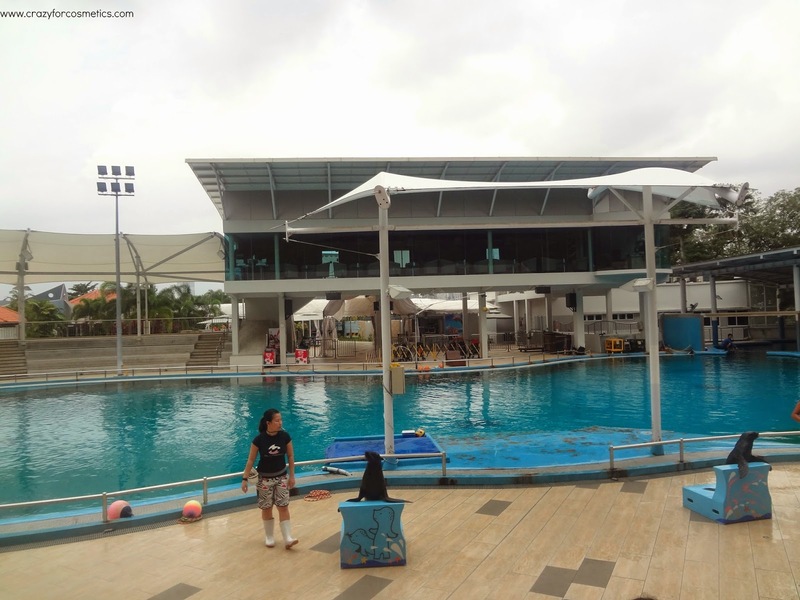 Underwater World and Dolphin Lagoon : Probably the oldest and most well known attraction in Sentosa both the underwater world and the dolphin lagoon ( dolphin show ) were probably not the best we have seen. Age has definitely caught up with this attraction but it is still worthwhile to spend some time here. 5. 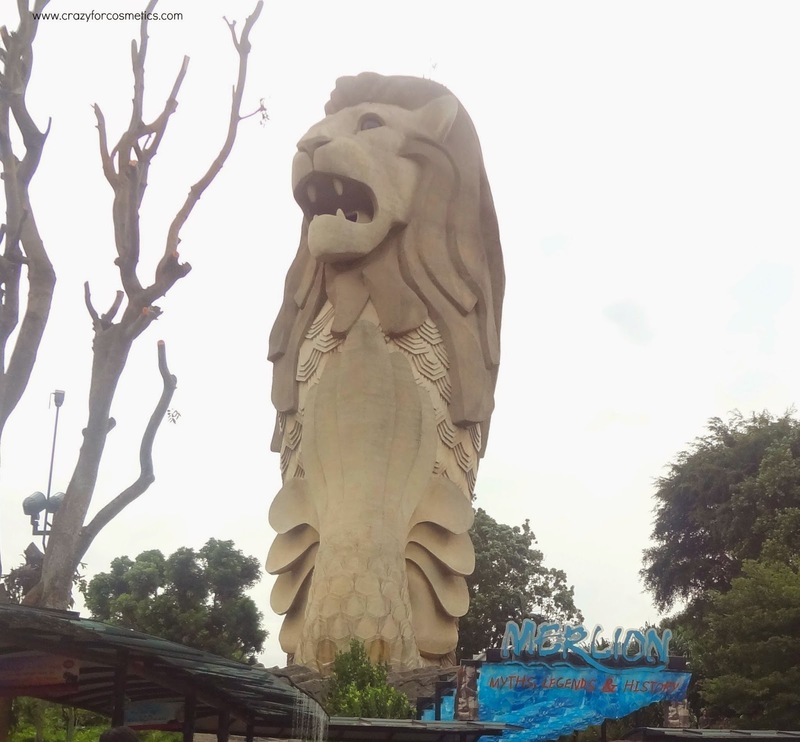 Merlion and Beaches of Sentosa : Some photos from around the island. So after a really long day in Sentosa we headed back to our hotel to pack our bags and take the early morning flight back to Chennai. 5 days had just whizzed by and we felt we should have stayed on longer , but probably next time.. So till then goodbye Singapore, we will be back soon.